Belle Chere is looking for a man—even though she’s seventy-two and has nothing but loathing for the guy. It has nothing to do with her colorful youth. She’s paid for those stunts. Hard work has perfected her flinty humor and a don’t-mess-with-me attitude. If trouble nears her eastern Oregon home, it will have to pick on idiots who don’t see it coming. And yet, her stubbornness makes her one of the idiots. By misjudging a man with a grudge, she is served a cold slice of revenge and tragically loses her home. With no faith in the sheriff, who she’s known since he was in diapers, she plans to stop the man who is destroying her safety. Sure that he’s hiding in the mountains, she joins the Ladies Trail Trek to disguise her search for him. For Belle, the hike to discover oneself is overpopulated with whining, drama and woohooery … and yet, being back in a community of women makes the ghosts of her youth rise again. They haunt her daylight dreams, demanding that she choose once again--which is more important: human life or justice? It's sort of a relief to have Ox Woolsey dead. Until an outsider arrives who frames the stunning landscape in dollar signs and vacation rentals. Jiggs must decide whether to save the town or his dreams. When put to the test, his attempts to handcuff time shake out unexpected secrets. An unforgettable tale about the flaws in all of us. What if everything you knew about your family was only half of the truth? When Jiggs Woolsey discovers a skull on his ranch in Oregon, he plans on turning it in ... but he soon discovers that may not be a good idea until he knows who once wore the skull. 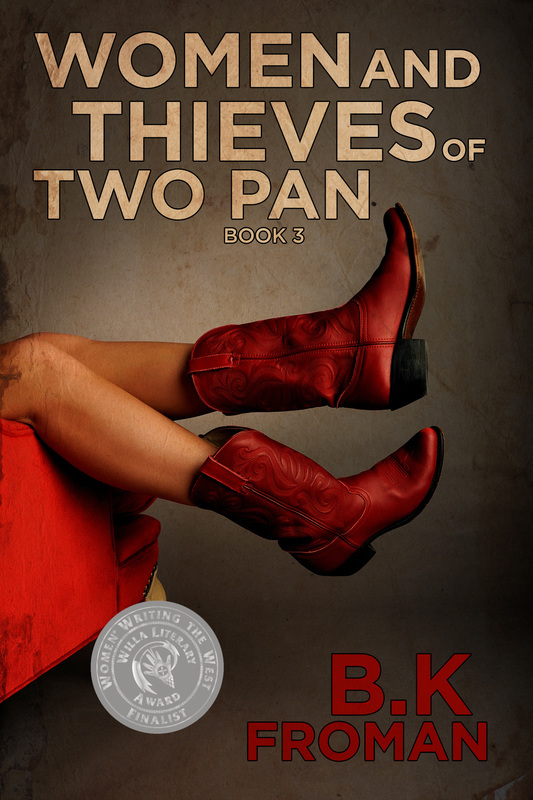 His undercover search for answers stirs up the gossips and naturally nosy in the tiny eastern Oregon town of Two Pan. He soon discovers that he's ill-prepared to carry the laughable and often heavy-hearted secrets about his community and family. Laughs, family fracas, loyalty ... and all that's in between. Say now...I don't pass your email around or bombard you with a bunch of notices. That's just rude and no way to thank you for signing up because you want to know about future books and Two Pan happenings. If you get tired of the few emails we send...it is soooooo easy to unsubscribe..
Why not Subscribe Now and see.